Help a courageous princess defeat the Dark Witch and save her kingdom! 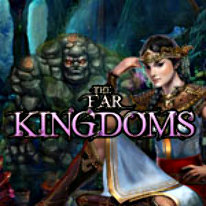 Help the courageous Princess Arianna save her kingdom and defeat the sinister Dark Witch in this clever combination of hidden object adventure and match-3 gameplay. Use your Royal Amulet and cast magic spells to defeat the dark sorcery of the Witch and rescue your kingdom from the clutches of evil!